Each new feature made it more clear that our existing layout wasn’t quite working anymore. 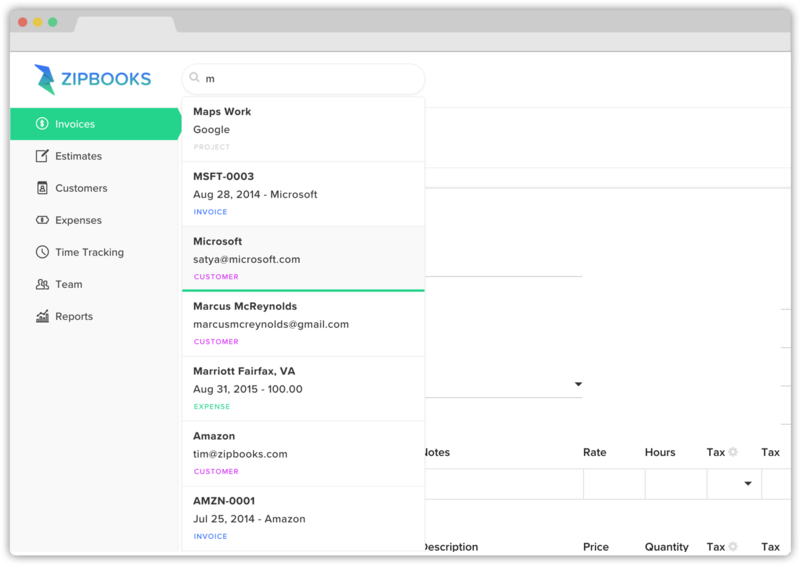 We made it easier to create new items and reworked the navigation to better fit new features, like reporting. We also put an emphasis on search. 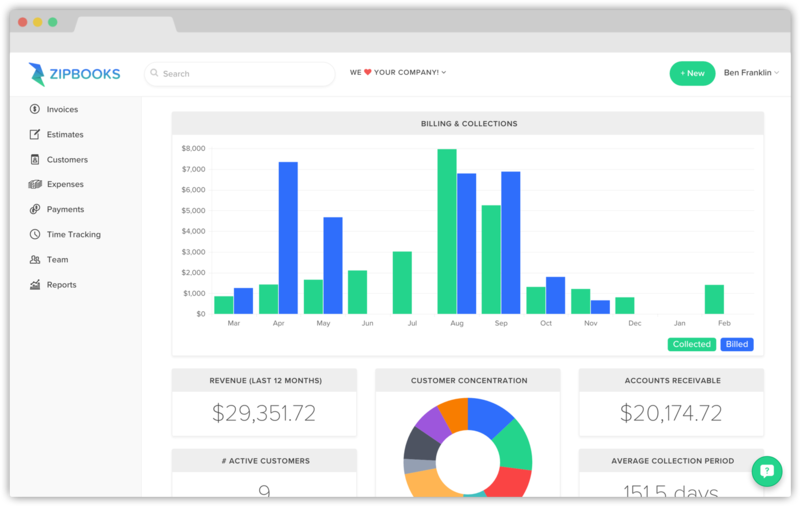 Using search means being one click away from any existing estimate, invoice, customer, or expense. Just start typing in the name and we’ll show you your options. Sometimes less is more, right? The “Create Invoice” button has a new area code and has gotten an upgrade. 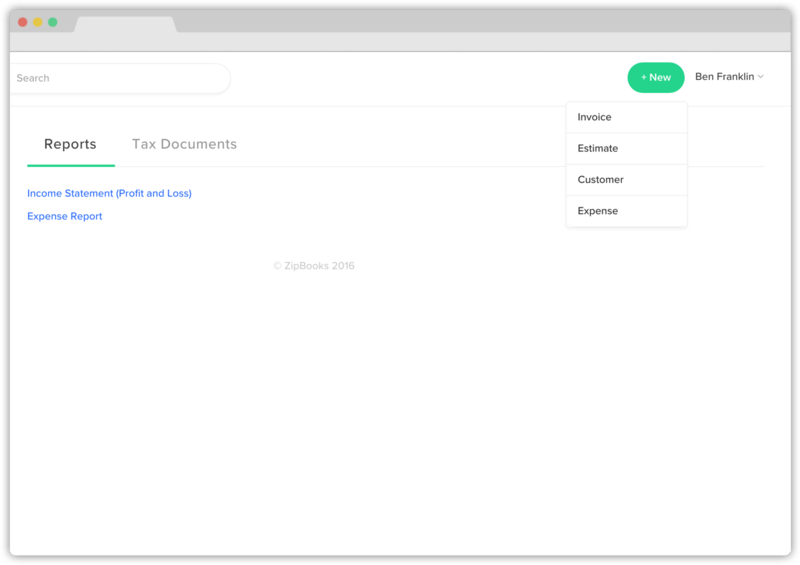 Clicking “New” means you’re one click away from creating an invoice, estimate, customer, or expense. Notice a pattern developing? Taxes are unavoidable, but the endless back and forth with your CPA isn’t. 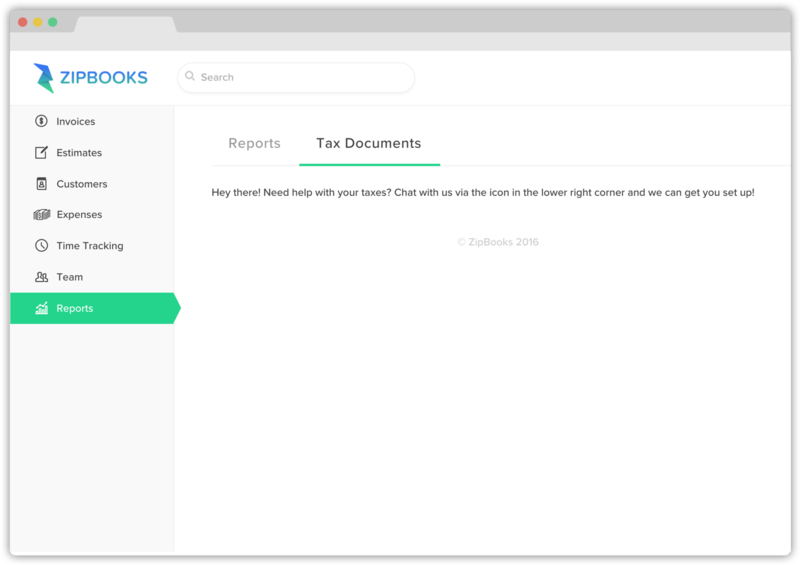 Backed by popular demand, ZipBooks now does quarterly and year-end tax preparation. Same friendly support, now with 100% more professional services!